← Sugar-Free? I Dare You. Last night, twelve days into the Thirty Day Sugar-Free dare, the temptation was too much for me. 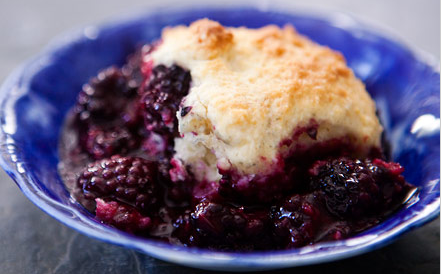 I crumbled for a blackberry cobbler. In my defense, it was our Fifteenth Wedding Anniversary. A gal should be able to savor something sweet on that occasion. But my competitive side didn’t want to break the streak. “Why didn’t we make an exception?” I lamented, like we did for our niece’s upcoming Bat Mitzvah, which falls within our thirty days, and which will feature a chocolate fountain and a candy bar, to name a few of the temptations we won’t have to miss thanks to our planning in advance. Ever the lawyer, I felt that an explicit exception would have blessed this breach. I wasn’t convinced. It’s only thirty days, after all, and we are nearly halfway there. Resisting ice cream, chocolate, cookies and cake hasn’t been as hard as I had thought it would be. 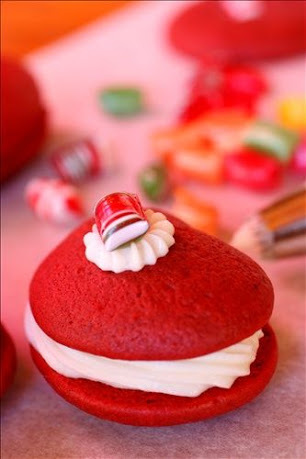 Each day that passes, I have I craved the big-time sweets less. (I can resist this, but I’d eat a graham cracker in a heartbeat. Go figure.) The dessert menu at Joe’s Restaurant, where we had enjoyed our anniversary dinner, didn’t even tempt us. White chocolate? Coconut? Yuck. Back to last night’s battle between my craving and my promise. After rejecting Joe’s Restaurant’s desserts, we walked down Abbott Kinney. I knew what was waiting for me: Gjelina To Go, source of my most recent pie-fantasy. After one or two passes by its window, where the menu boasted blackberry cobbler, I made a decision: I would regret not having that cobbler more than I would regret having it. And even though it turned out to be a tart plum biscuit instead, it was worth it. At least it was fruit. Christopher is the only one of us with a clean record on this dare. Which is fair, since it was his bright idea. But all of us have benefited. I’ve had one dessert in twelve days. Even our kids, who celebrated our anniversary with their own desserts at dinner with Grandma Fran, brought half home in a to-go box. That unprecedented experience (not finishing dessert??) — and the fact that neither Christopher nor I finished their treats while they were sleeping — shows that our twelve-days of less sugar has had a positive impact on all of us already. I’m joining him back on the wagon today for the rest of the ride…at least that’s my explicit plan. Thank you. It was very worth it. It turns out it was also a good teaching moment. I told my kids that I broke the dare. That made them feel better about their own “lapses.” No one is perfect, no one should expect to be perfect, and we can always try again.